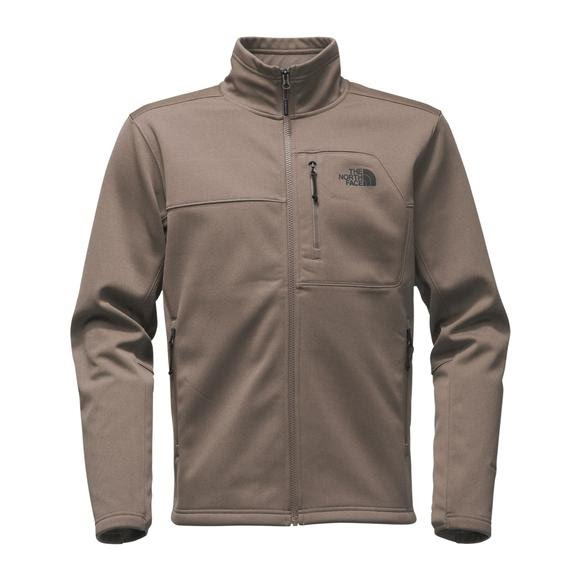 Strong winds are no match for this ultra-warm, technical WindWall® soft-shell jacket from The North Face that provides soft, stretchy, windproof performance when you're on the move. Strong winds are no match for this ultra-warm, technical WindWall® soft-shell jacket from The North Face that provides soft, stretchy, windproof performance when you&apos;re on the move. Durable Water Resistant (DWR) finishes on fabrics and zippers give long life to waterproof technologies. The addition of an enhanced hydrophobic treatment enables the DWR to adhere to materials for an extremely extended lifetime. Like water off a duck&apos;s back!